Helen and Kirk got married and hosted their wedding reception at Clearwell Castle in the Forest of Dean, Gloucestershire. This fantastic wedding venue has won 'Best Wedding Venue' for 2016 and 2017 in the British Wedding Awards. Clearwell Castle has huge amounts of outdoor space including landscaped gardens and a beautiful lake, and a set of steps at the front of the building that provides the perfect location for confetti photos! I always find though that one of the best places for wedding photos here is on the front lawn. Late in the afternoon, there's an area of open shade on the lawn which gives a beautiful soft light to anyone standing there. At the same time the castle is illuminated by the early evening sun, allowing for beautifully delicate photos like the one above. For this photo, I used a tiny bit of off camera flash with a large softbox to accentuate the light further. It's good to see the bride and groom looking so happy as the nerves and emotion on the face of the groom are apparently in this earlier photo. 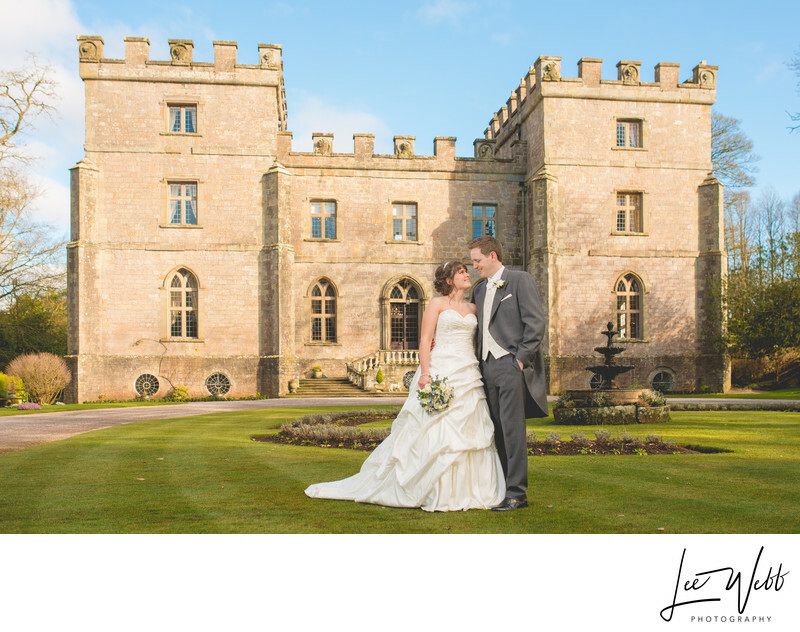 The central aisle of Clearwell Castle's ceremony room is 75 feet in length, making it a long and slow walk! 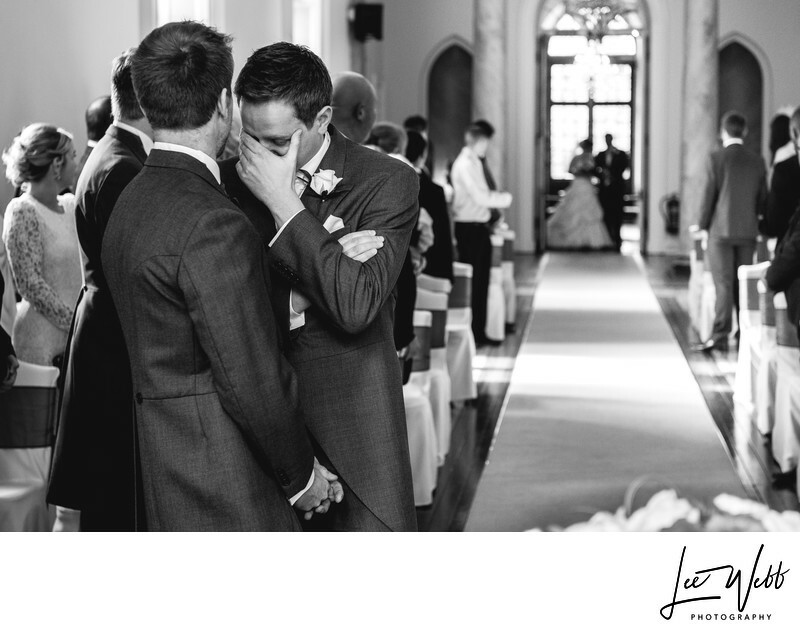 To view the Clearwell Castle wedding website, please click here. Location: Clearwell, Forest of Dean, Coleford GL16 8LG.